Uri Wilensky and William Rand’s An Introduction to Agent-Based Modeling: Modeling Natural, Social, and Engineered Complex Systems with NetLogo (find in a library) is the single best book I’ve encountered for anyone interested in agent-based modeling (ABM) in any discipline and at any level (K-12, undergraduate, graduate, professional). At nearly 500 full-color pages, Wilensky and Rand’s book does an excellent job progressively walking through the decision to use agent-based modeling, creating simple ABMs, extending preexisting ABMs, creating more complicated ABMs, analyzing ABMs, and conducting verification, validation, and replication. Beyond just running the models described in the book, each chapter concludes with a substantial number of exercises or “Explorations,” usually numbering 20 to 30. Each Exploration is a potentially deep opportunity to learn more about ABM by getting involved rather than just reading, as the Chinese proverb suggests. Wilensky and Rand do a very nice job of using illustrative models from a variety of disciplines; one example might come from the social sciences and the next example from ecology. This is helpful since each reader may come from a different background or have different experience or interests. The book requires no special background in mathematics or computer science, which is a huge plus in terms of accessibility to a broader audience. 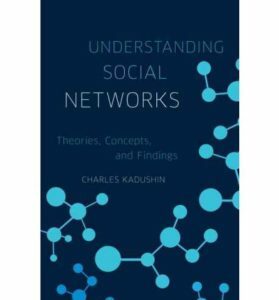 The authors suggest that it could be used as a textbook for an undergraduate course on complex systems or a computer science course on ABM, or even as a supplement to science, social science, or engineering classes. Graduate students who wish to use ABM in their research – regardless of discipline – would likely find IABM one of the best possible places to start. Even experienced researchers with no agent-based modeling experience would benefit from IABM as an introduction to the method. While the book is aimed at high-level undergraduates and graduate students, it is sufficient to successfully create very detailed and scientifically valuable agent-based models in NetLogo. The authors reserve a final chapter for “advanced” applications potentially of greater interest to individuals interested in specific sorts of ABM: computationally intensive models, participatory or stakeholder-driven modeling, robotics, spatial and geographic information systems (GIS), and network science / social network analysis. They select just a handful of NetLogo’s more advanced capabilities to describe in this chapter, but include helpful references enabling interested readers to learn more. I can’t find anything about IABM to criticize, though reading it cover to cover (as I did) is certainly an investment of time, albeit a worthwhile one for the reader wishing to learn and use agent-based modeling. One of the best ways to explore the science of complexity and how complexity theory can be applied to the numerous real-world phenomena we experience and study is through agent-based modeling. 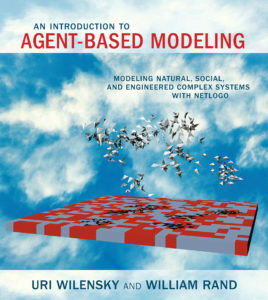 Uri Wilensky and Bill Rand have written an excellent book to help anyone do just that, and I recommend An Introduction to Agent-Based Modeling: Modeling Natural, Social, and Engineered Complex Systems with NetLogo (find in a library) to anyone wishing to get started with agent-based modeling. Wilensky and Rand make ABM accessible and, importantly, thoroughly enjoyable to learn. The book’s companion website is http://www.intro-to-abm.com/.